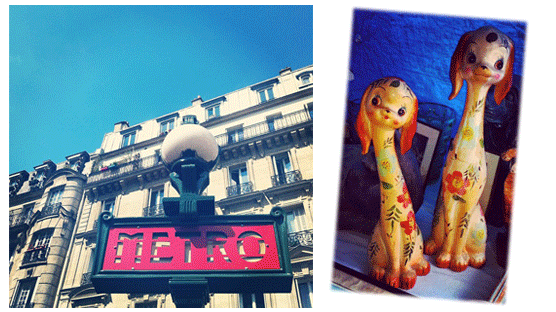 I’m just back from a week of trawling the flea markets, junk shops and thrift stores of one of my favourite cities – Paris! Thrift-ola Towers is bustling with all my finds and I look forward to sharing them all with you in a one-off pop-up Paris Shoppe which will launch online towards the end of August. I’ll also share all of my fave places to thrift in Paris on the blog in September, if anyone is visiting before then feel free to ask me any questions on this post, I’m always happy to help a fellow thrifter. In the meantime I’ve started the mammoth task of photographing everything for our General Sale which will launch on eBay a week today. I’ll be sharing sneak peeks on Twitter and Instagram during the week ahead so start saving your pennies! Hey Holly, There are SO many places, what part of Paris are you going to? But have metro ticket will thrift! Any tips mondo welcome! I will be visiting Paris in august and I was researching good places to thrift! If you have any suggestions please let me know!